Lenovo is making a splash at their Lenovo Tech World Showcase currently being held in Beijing, China – First they announced an awesome World’s first laser Projector Smartphone and followed it up with another interesting product, Lenovo Cast. 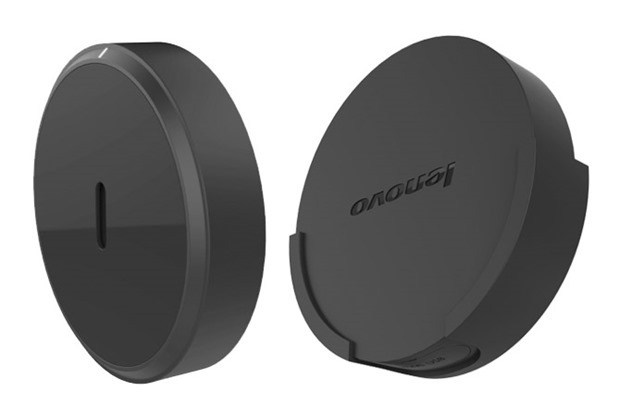 Lenovo has bought out Lenovo Cast in competition to Google’s Chromecast and Apple TV, who offer similar features. However, when it comes to shape, Lenovo Cast is unlike any. It is round cylindrical shaped device that will enable you to mirror your Android device display on a large screen TV. Interestingly, Lenovo cast supports 2 Industry standard mirror casting Technologies, Miracast and DLNA which is currently present in most modern TV’s. Chromecast on the other hand does not support Miracast and relies on their own proprietary casting technology. Lenovo Cast comes with HDMI port, an micro HDMI port as well as USB port for charging. Other details are currently not too forthcoming, but from what we understand it should sport better or atleast equal specifications to that of Chromecast. The company says that their device can transmit signal over 20 meters and can even work through two walls. Incase, you don’t know how this device works, here is a demonstration of the same – Check this video from Lenovo released earlier today. Sunder Pichai of Google had earlier told that over 17 million Chromecast devices have been sold worldwide since it’s launch. On the other hand, Apple TV too have sold over 20 million devices. While these are 2 largest players in this space, many other companies have thrown their hat in the ring. Even India has it’s home bred HDMI dongle called Teewe ( Check our review of Teewe here). The device seems to be doing well as it recently launched it’s next version. Due to attractive prices that these dongles come at, they have been like hot cakes in India. As far as the pricing goes, Lenovo Cast is priced around USD50, which is higher than USD 35 that Chromecast costs. Also, Chromecast has nearly 20,000 Android apps that support casting, and they have quite a big community around it. If Lenovo has to be successful in creating a market for Lenovo Cast, they will surely need to create a app and content ecosystem around it! Lenovo Cast will be available starting August 2015. Interesting that all the Lenovo PR and all the reporting mention that it supports “Android Devices” — with no mention of the fact that all variations of windows (desktop, tablet, phone) support DLNA — as do most major TV manufacturers. @Joel – the article mentions that it supports DLNA that is a standard for many entertainment devices…and it supports all of them..